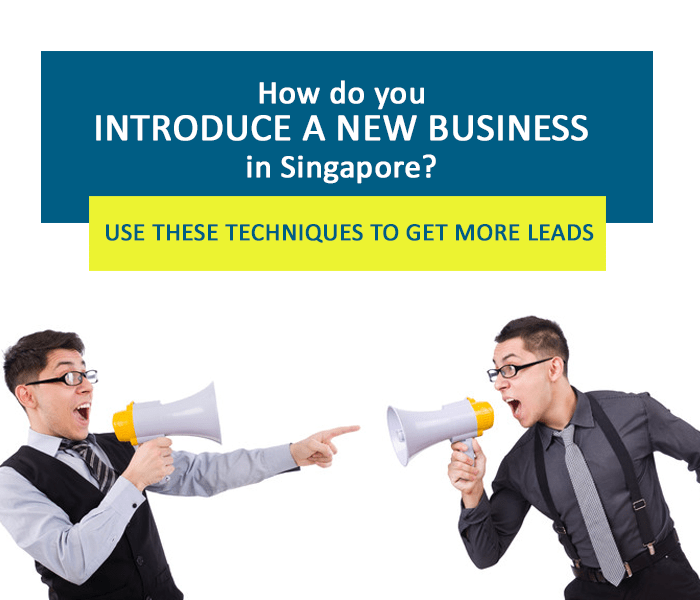 Are you one of those entrepreneurs in Singapore with a love-hate relationship with selling? You’re an idea machine, a strategic thinker, a visionary. But salesmanship? The act that requires a spellbinding tune with drizzles of charisma and layers of confidence? Definitely not your strongest suit. But as a businessperson, you can’t just lock yourself in the room. According to a study by the Harvard Business Review, one of the biggest regrets of entrepreneurs about their early stages was they didn’t sell early. They didn’t approach people and never talked to them about what they think of their products or services. Some business owners couldn’t articulate the value of their offers and some found it hard to prove their new company’s credibility. Selling would be less thorny when you’re already at peace with marketing, which aims to position and illuminate the value of your product to your ideal market. It’s about raising awareness of your company and shaping your reputation. 1. Know your target persona. Write down the characteristics, needs, and preferences of your ideal clients. These can be sources of ideas for your marketing campaigns or simply topics to discuss during your conversation with them. The more you know your target market, the easier it will be for you to create a business plan that drives results. 2. Set fixed objectives. What’s your financial goal, your preferred schedule, or the number of presentations you want in a day? Having a goal can keep you motivated and help measure your achievements afterward. 3. Get organized. Make this a habit in all aspects of your business, from the incorporation of your company in Singapore to income tax filing to defining individual roles in your team to getting feedback from your customers. When you have order inside your office, doing business outside your company will likely be more efficient and stress-free. If you can’t do everything by yourself, you can always get help from professionals. 4. Live up to the hype of your marketing spectacle. If you claim that your new app can make the booking systems of restaurants easy, make sure it can actually set a new time record and get customers excited about sharing your ingenuity with their friends. Being untruthful about what you can deliver can affect how you feel about selling and marketing your own products and services. 1. Unplug from time to time. Go offline. Go local. Go where your ideal consumers actually are. And if you’re not yet ready to confidently recite your product’s benefits, go print. Statistics shows that print marketing is still very much alive. “Many companies are competing online for their audience’s attention, which can make it hard to stand out in the crowd. Print marketing is used less, so it stands out more,” according to a MarketingProfs article. √ Learn new skills, technology, and best practices from experts and leaders in your industry. √ Connect with other entrepreneurs whom you are likely to collaborate with in the future. If you want to stay ahead of the curve, join professional organizations in your field and the market you are servicing. You can look for organizations of entrepreneurs and businesses, such as Enterprise Asia and Association of Small and Medium Enterprises. You can also join Facebook and LinkedIn groups in your industry or online sites where your ideal clients are probably hanging out. 3. Start in your own neighborhood. Is there a local contest that hits one aspect of your business or a need that your product can solve? Do you think this contest will be widely promoted in your area? Does the concept share the same vibe with your branding? You can also volunteer to speak at events and workshops in schools, organizations, and community gatherings. 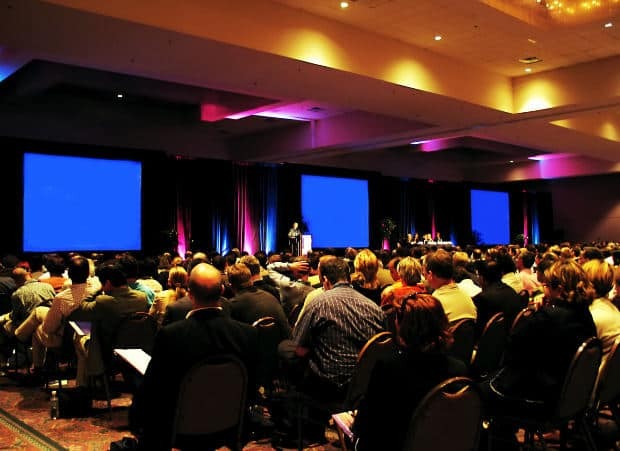 You don’t have to sell your products; you can deliver an educational discussion that will benefit the audience. For example, if the local event’s theme is empowering women in the community, talk about home-based businesses as source of livelihood for women especially mothers and share your entrepreneurial skills and experience in setting up your own business in Singapore. Another strategy is to throw a simple business launch party with your family, friends, and fellow entrepreneurs. Ask for their honest feedback about your product or service. Also, don’t forget to ask for names that they think would be interested in your innovation. Securing local press coverage is one of the most painful tasks when you are attempting to make your business known in your area. First, there’s competition–how many businesses are trying to get the media’s attention? Second, making an editor interested in your story is quite an art. √ Create the right media list. Collect only the contact details of your target media outlets, those that cover your industry and with brands that align with yours. This way, you won’t waste your time and energy on pitching to publications that do not cater to your ideal audience. 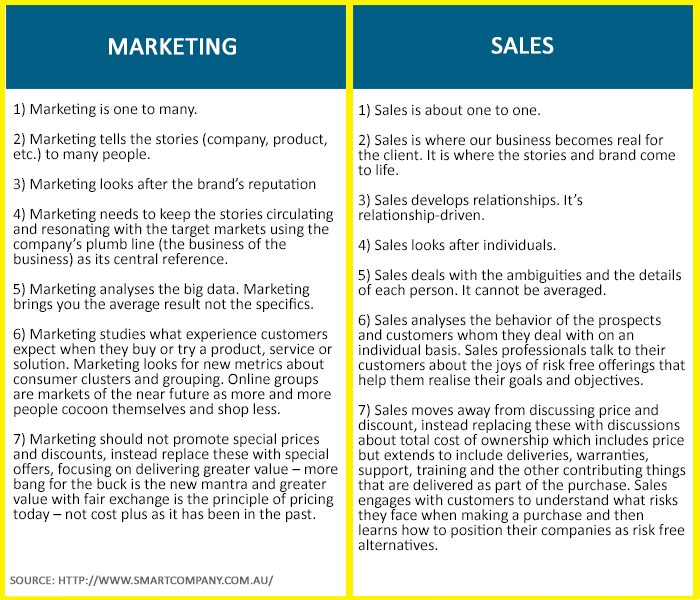 √ “Sell” your story, not your product. If you want to increase the chances of getting the media to trust you and like your story, you need to deliver a story that is unique, fresh, and interesting. √ Use the proper structure for your story. Knowing the type of press release you will submit will make it easy for editors to identify the section of the newspaper your story can be placed. √ Say thank you. Send an email or phone the editor to thank him or her for trusting you and for allowing you to share your piece. “No entrepreneur is an island,” wrote Borland Jones, Founder and CEO of CGi. Collaborating with other entrepreneurs is no longer a trend but a necessity to achieve business success. Collaboration helps businesses gain diverse perspectives, more technological resources, and wider business opportunities. Find people in your area who speak the same language. Once you’re all set, lay down boundaries and protocols. Establishing these from the start will help you accomplish your projects smoothly. 6. Build a home online. Investing in the development of a well-designed and professional-looking website adds prestige to your brand and makes your customers take your business seriously. It’s your ultimate online business card as many consumers surf the net as part of their buying decision process. According to MasterCard’s Mobile Shopping Survey in 2015, nearly half of Asian consumers (45.6%) have made a purchase using their smartphone. 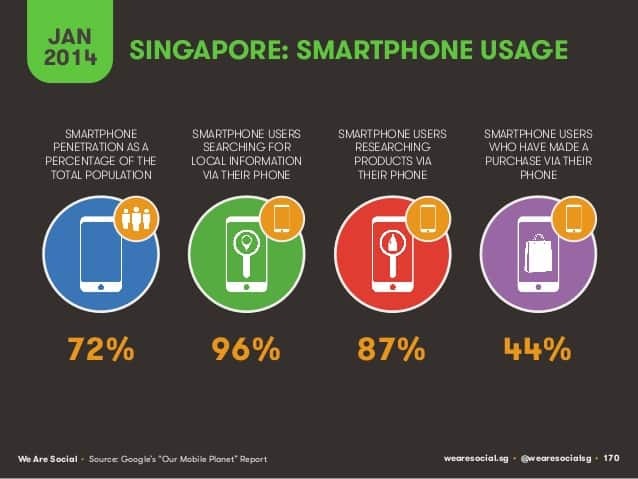 This supports the results of Google’s study titled Consumer Barometer, revealing that 48% of Singaporeans research products on their smartphones first before purchasing. 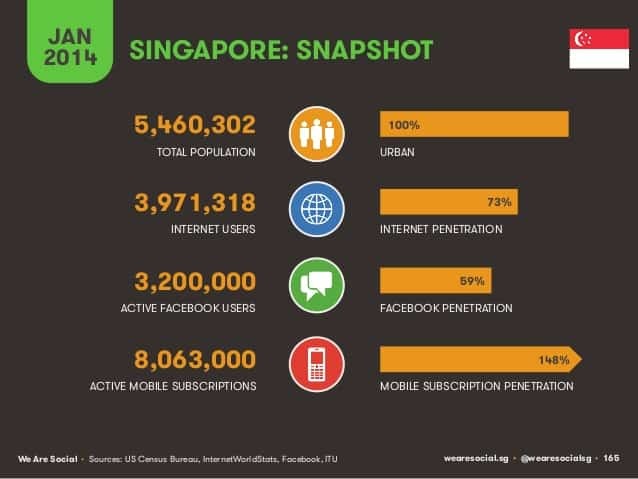 Moreover, WeAreSocial’s 2014 Asia-Pacific Digital Overview shows that Singapore has more than 8 million active mobile subscription and 87% of smartphone users research products via phone. If you want to reel these potential customers in, make a great first impression with your website. 7. Create extensions of your home. The number of Facebook users in Asia has grown by 25% in the first quarter of 2015. Launch a decent, attractive Facebook page that may convert fans into customers. This is possible by treating your Facebook page like the twin of your website. Include all the necessary details about your business in the Profile section, use your company logo, and upload striking visuals and helpful content. Other social media networks that may produce buzz for your business are Twitter, Instagram, Pinterest, and LinkedIn. And to keep your social media marketing activities organized, build a content marketing plan first. 8. Establish your credibility online. If the report by the International Telecommunication Union (ITU) shows that there will be 3.2 billion Internet users who will be online by the end of 2015, almost half of the world’s population that is currently at 7.2 billion, how will you prove the credibility of your business and humanize your name online? Key in on the platform that can showcase your knowledge, your own opinion, and your expertise in your field and make you stand out. 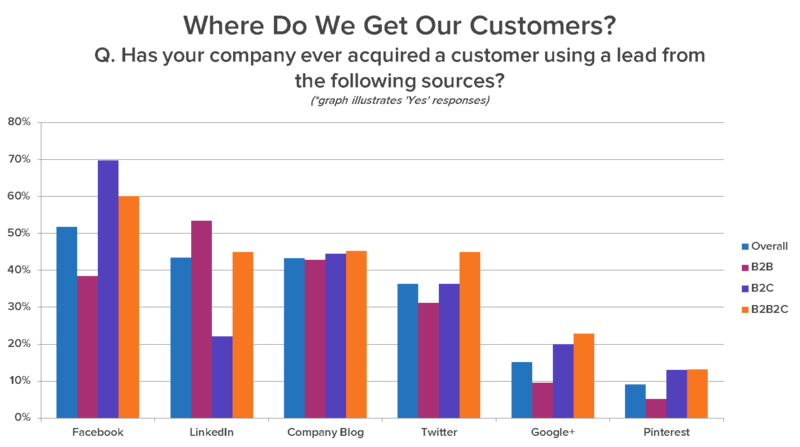 HubSpot State of Inbound report in 2013 states that “82% of marketers who blog daily acquired a customer using their blog, as opposed to 57% of marketers who blog monthly — which, by itself, is still an impressive result.” Another HubSpot report claims that most business types in their survey exhibited the same ability to acquire customers through a blog. Maybe not all these techniques can spawn awareness about your new company in Singapore right away. What’s important is you’re willing to step outside your comfort zone to know what works and what doesn’t in achieving better introductions and business breakthroughs. As you set up your business in Singapore, how do you persuade people to try your product or service? What are other strategies you can add to the list?